Short Business Description: LogoForWork is a professional logo design service in Florida, Boca Raton & Miami, USA that serves a variety of businesses and customers global. Every business that looks to serve a target market has to develop an identity and this brand identity is greatly dependent on a professional logo design. Short Business Description: Our bridal hair and makeup services can be provided either in studio or on location. Our team of experienced hair stylists and makeup artists ultimate in up do’s, latest hair and makeup techniques. Key West, Florida wedding artistry. Our bridal hair and makeup services can be provided either in studio or on location. Our team of experienced hair stylists and makeup artists ultimate in up do’s, latest hair and makeup techniques. Lead by Award Winning Bridal Stylist and Makeup Artist Elena Southcott who is extremely dedicated to her profession. We are proud to offer Key West hair and makeup services of the highest quality. After meeting with us you will see that we take the utmost pride in making your special day absolutely flawless in hair design and makeup artistry. Come see us at the studio, conveniently located in historic down town-Key West, just a block away from historic Duvall Street. 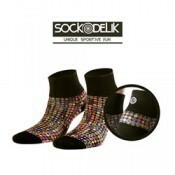 Short Business Description: SOCKODELIK LLC is a online socks store from Weston, Florida. Where people can buy various stylish, softer, colorful socks with long lasting life at economical price. SOCKODELIK LLC is a online socks store from Weston, Florida. Where people can buy various stylish, softer, colorful socks with long lasting life at economical price. There are varieties of cool sport socks and arch support socks on Sockodelik.com for Sports player & lovers who likes to wear cool socks. We have open Sockodelik online store with a goal of providing stylish, softer, colorful socks with long lasting life at economical price to the people, who is bored with white and black socks. We are selling high quality and branded socks like COOLMAX socks. Sockodelik has all types of socks for men & women, whatever their demand may be, such as running compression socks for travel. Short Business Description: Blind Surprise is a place that is loaded with amazing things. 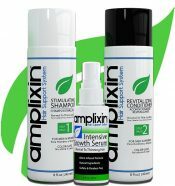 As featured on NBC and International Business Times. Blind Surprise unique gift ideas for everyone. Blind Surprise is a vast collection of cool stuff like handmade gifts and more. Surprise your friends and loved ones and subscribe to our monthly subscription gift boxes and we will send you a perfect surprise gifts based on your interest. Blind Surprise was founded on the idea that gifting, overall, is tough. The internet is a confusing place loaded with great things to purchase, and trying to locate that perfect perfect gift can take time. Blind Surprise is a online service that provide unique and amazing items and is a perfect gifting idea. Looking for unique gift ideas? If we could mix that amazing feeling of having a surprise gift awaiting with the discovery of unique products from all around the United States, package it nicely, and put a card in the box, we had a gifter’s dream come true. We wanted to build a company that would be ideal gifts for people who have everything, or for the genuinely curious type who love surprises. The Blind Surprise Subscription Box is filled with anywhere from 1 to 4 gifts every month from up-and-coming product lines. 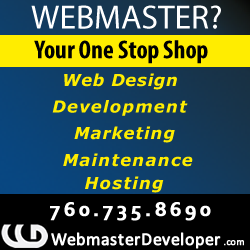 Visit the web site for more details on our Surprise Gift Service. Short Business Description: Treatment of addiction/substance abuse must consider the whole person as is distorted by chemical and/or behaviorally compulsive addictions. At Turtle Moon we create a safe and sacred space in which to explore both inner and outer worlds of engagement and growth. The experience that frames from the dialogue and rapport with your therapist allows a transformative process that the client determines and directs. Therapy can change obstacles into opportunities, access the reclaiming of lost or hidden parts of self, free you towards fuller potential in the spheres of relationships, career, and a more vibrant inner life. That which is in shadow comes into light, to be in fuller concert with the usefulness, existential possibilities, or to engage in the necessary grieving for things heretofore in blind power over you. We strive for clarity. We strive for meaning. It is not that the unexamined life is not worth living; rather that the lovingly attended to life offers a fuller and finer quality. Join us for an open and meaningful program of therapy. Business Name: David M. Piccolo P.A. Short Business Description: David M. Piccolo, P.A.’s personal injury lawyers and attorneys provide legal representation for personal injury and accident victims throughout Palm Beach County, including Boca Raton, Wellington FL, Palm Beach and West Palm Beach. The personal injury lawyers and attorneys at David M. Piccolo, P.A. serve personal injury victims all over Boca Raton, Wellington, West Palm Beach, Jupiter and surrounding cities. David M. Piccolo, P.A.’s personal injury lawyers and attorneys provide legal representation for personal injury and accident victims throughout Palm Beach County, including Boca Raton, Wellington FL, Palm Beach and West Palm Beach. 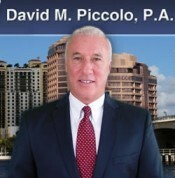 The personal injury lawyers and attorneys at David M. Piccolo, P.A. serve personal injury victims all over Boca Raton, Wellington, West Palm Beach, Jupiter and surrounding cities.